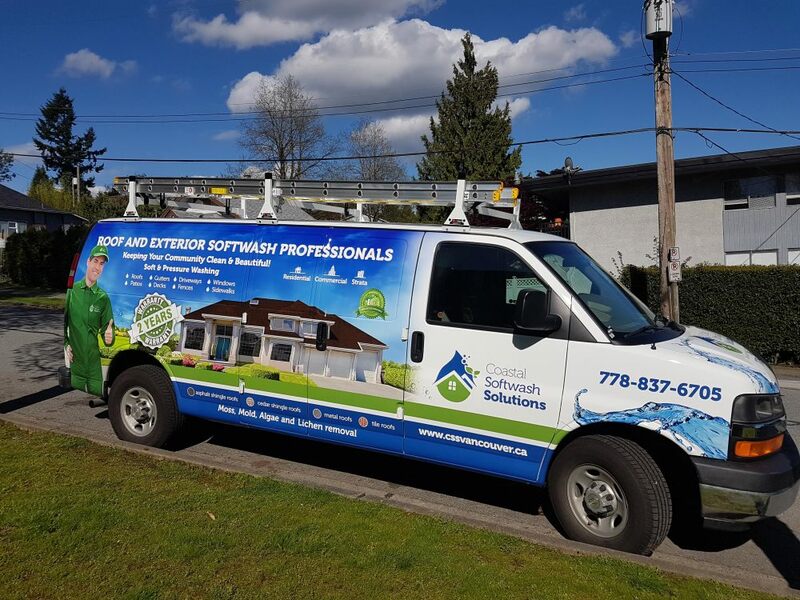 We are a Coquitlam based company specializing in providing soft and pressure washing quality services for home owners, local businesses and strata managers. We provide a wide range of services including roof cleaning and moss removal, house exterior and siding/stucco, gutter, window and skylight, deck and patio, sidewalk and driveway cleaning. Softwash No pressure cleaning is our specialty. At Coastal Softwash Solutions we take pride in what we do and our main goal is providing the highest quality services paired with superior customer service to our clients. Coastal Softwash Solutions is also an environmentally friendly company. We utilize advanced softwash and pressure washing cleaning methods, using high end equipment and cleaning chemicals that are biodegradable and safe to use on your home, business and for landscaping as well. Our Company has five million commercial liability insurance and WorkSafe BC coverage. If you are interested in our services, we encourage you to give us a call or send your online request today for a free residential, commercial or strata estimate. We are ready to serve all your soft and pressure washing needs!